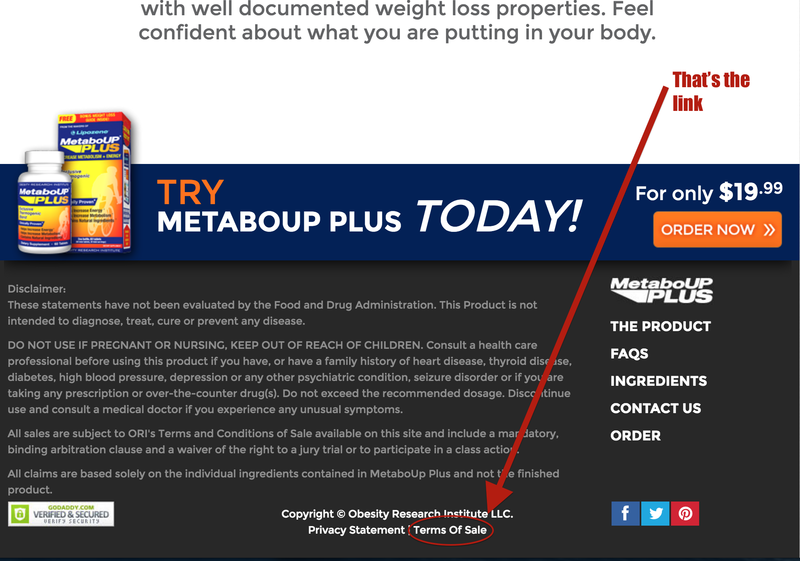 If you wanted to get an idea on the ridiculous overuse of forced arbitration, here’s one of the more absurd examples we’ve seen — a weight-loss supplement with the added non-benefit of stripping users of their right to sue the company that made the pills. On that page, there is more detailed information, specifying that “Any claim, dispute, or controversy… shall be resolved exclusively and finally by binding arbitration,” along with the names of the possible forums for such hearings. “The arbitration will be conducted before a single arbitrator, and will be limited solely to the dispute or controversy between Customer and ORI,” it continues, meaning that each individual dispute must be dealt with on its own, even if you and another customer have the exact same complaint. In case that weren’t explicit enough, the clause then states that class-action arbitrations are not allowed. The one bright spot: There is a way to opt out of the forced arbitration in writing within 30 days. So is this sort of arbitration clause actually enforceable? There doesn’t appear to be a clear answer to that question. The Federal Arbitration Act of 1925 was intended as a way to allow companies to expedite contractual disputes by agreeing in advance to have their problems heard outside the legal system. However, Supreme Court rulings over the last few decades have made forced arbitration more attractive as a method for preventing consumers from filing class actions. But while those SCOTUS decisions have confirmed that companies like AT&T can insert clauses into contracts you’ll never read and can’t change, all of these rulings have involved agreements that you must at least actively acknowledge that you are accepting. There have been a handful of legislative efforts to curb the practice. In February, Sens. Patrick Leahy of Vermont and Al Franken from Minnesota proposed the Restoring Statutory Rights Act, which seeks to create an exception in the Arbitration Act for disputes involving individuals and small businesses. Under the proposed law, the only way individuals would enter into arbitration is if they agreed to do so after the dispute has been filed. That’s very different from the current process, which automatically shunts all customer disputes into binding arbitration. Sen. Franken is also expected to co-sponsor, with Sen. Richard Blumenthal (CT) the Justice for Telecommunications Consumers Act, which would bar phone, cable, broadband, and other telecom companies from using forced arbitration clauses in their customer contracts. The Consumer Financial Protection Bureau is currently considering new rules that would limit financial institutions’ use of forced arbitration. A group of 164 advocacy groups — including Consumers Union — have written to CFPB director Richard Cordray, calling on him to follow through on these regulations and give consumers back their right to access to the legal system.